FFmpeg is simply a tool which implements a decoder and then an encoder.It is a complete, cross-platform solution to record, convert and stream audio and video. This allows the users to convert files from one form to another. FFmpeg is free software licensed under the LGPL or GPL depending on your choice of configuration options. FFmpeg Hosting can convert any video format to the web-optimized .flv format so that they can get streamed on the website. 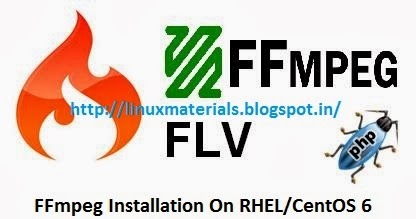 FFmpeg provide command line tool to convert multimedia files between formats. After Completion use ffmpeg command to see the Full Details of FFmpeg.